Currently, there is no fast, good, and cheap way of resolving tinnitus. Tinnitus is in essence hearing a ringing or buzzing that does not exist in reality. At best, it may be something you hear, but does not bother. At worst, it can literally drive a person crazy. Neuromonics is perhaps one of the very few treatment protocols that has been proven to work resolving/improving tinnitus in 80-90% of patients over a period of months. However, it is expensive... typically around $6000 out-of-pocket. In a study out of Italy, a group of patients between 22 and 78 years of age who suffered from tinnitus were told to listen to Mozart's Sonata k448 for 1 hour daily for 1 month. This was followed by instruction to listen to Beethoven's Fur Elise sonata for 1 hour daily for another month. For all the parameters investigated, there was a general significant improvement between the pre- and post-listening evaluation. 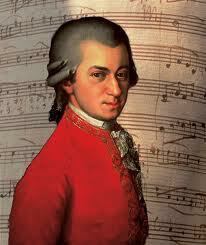 Significant improvement in several parameters were seen even after a single exposure to Mozart's sonata. So apparently listening to Mozart may not help only baby's to become smarter (debatable), but it can help adults as well. It's also cheap... about as much as it takes to download the songs from a music store. • What if a patient hates classical music? • How long does the improvement last after treatment? • What about other songs by Mozart? But... all in all... given it is cheap... it certainly can't hurt to give it a try.